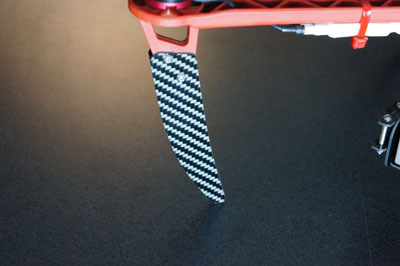 Increase the ground clearance below your drone by 3.25". 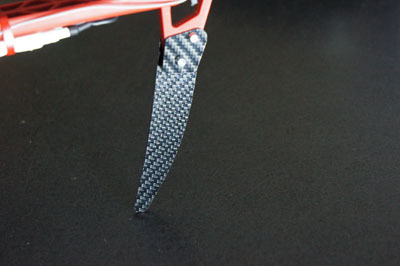 These carbon fiber legs will allow many configurations for camera mounts, accessories, batteries, FPV cameras and, downlink equipment to be attached under the frame. These legs will attach to both the DJI F450 and F550 with no modifications, drilling or glues! Installation on the DJI F450 mount one leg onto each arm, using the included hardware simply sandwich the stock feet of your Flamewheel between the leg and clamping tab and tighten the two screws and nuts on each leg. 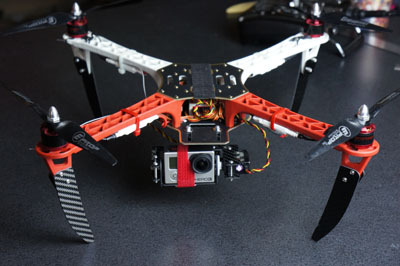 Installation on the DJI F550 is just as simple, utilizing the forward two and rear two arms.